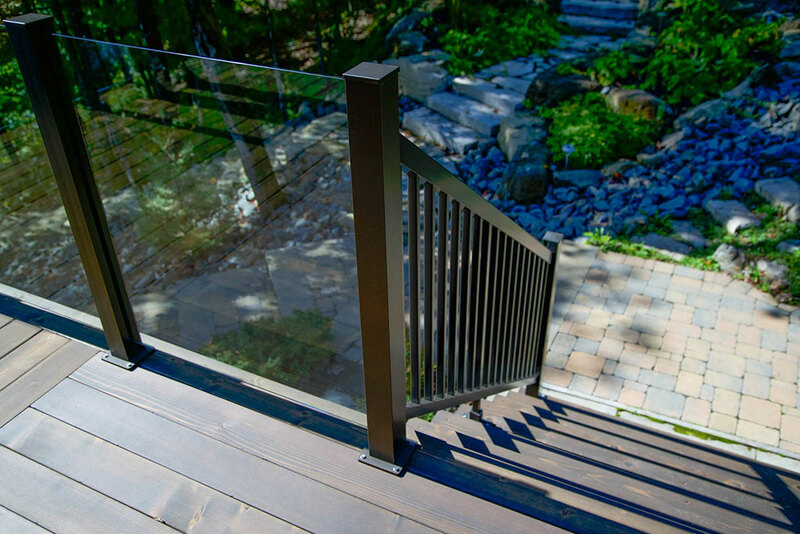 Rampes et Balcons St-Sauveur is a leader in the field and one of the first sources for glass railings and guardrails in the Laurentians/Montréal region. The firm’s many achievements and knowledgeable team enable it to create fully personalized solutions. 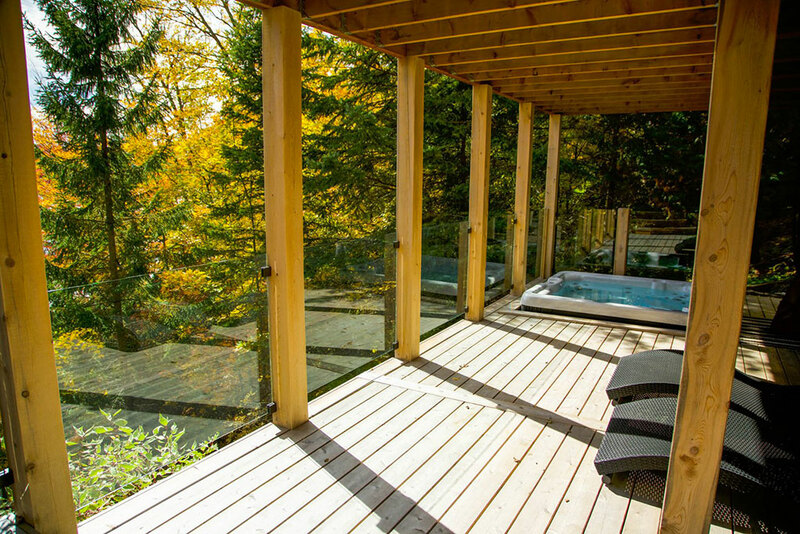 If you have a balcony, a porch, a pool or a spa in your yard, and you have a stunning view of the landscape, you must eliminate obstacles that could stop you from fully enjoying the view. 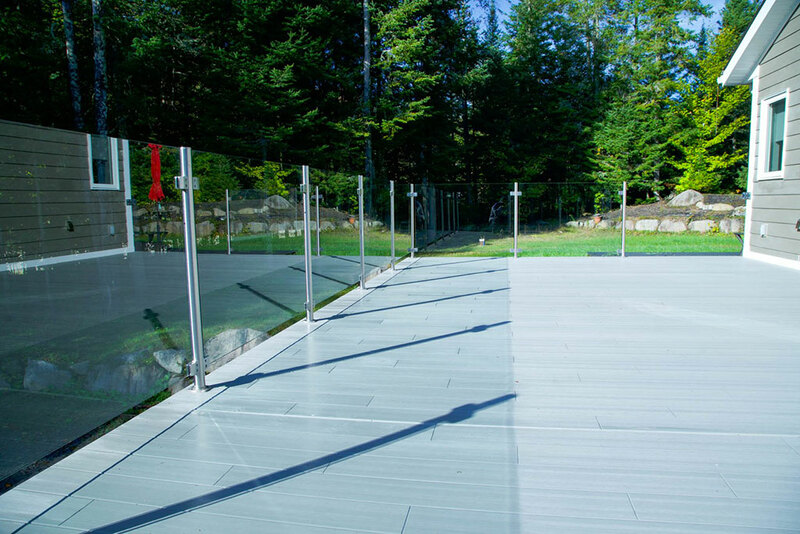 Our tempered glass design collection is adapted to your style and environment, while creating the impression of more space and protection against elements. It’s an added value for your property. Furthermore, railings, balustrades and guard rails in a house, a condo, a place of business or an office tower create the impression of a larger space, while the transparency provides a complete view of floors, adds distinction to your decor and enhances luminosity. 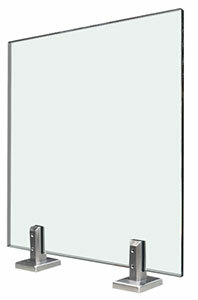 Opt for a pure and modern design, which is highly secure and durable, without obstructing the view. 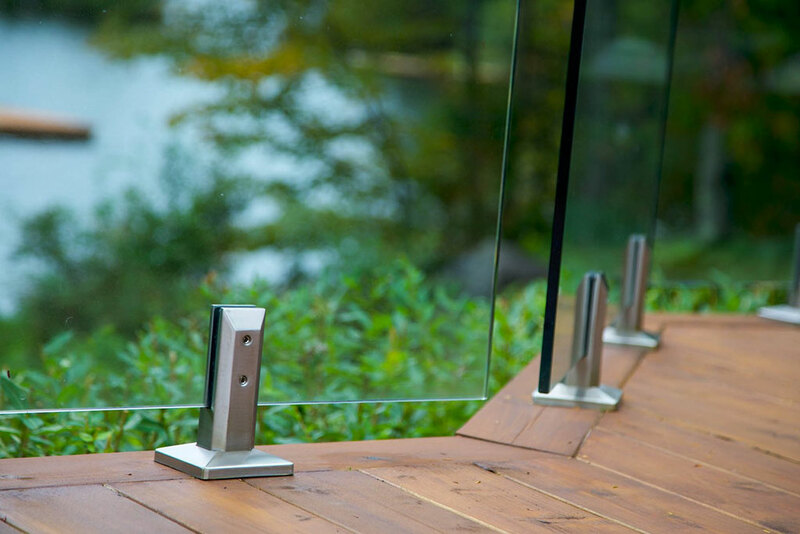 The Mirador collection designs and distributes tempered glass and aluminum railings. Among the new trends in indoor and outdoor decoration, the tempered glass railings and guard rails are increasingly sought-after because of their clean lines. They adapt to all architecture and decoration styles, and they harmonize with residential and commercial designs, with a touch of elegance, always respecting personal needs and budgets. 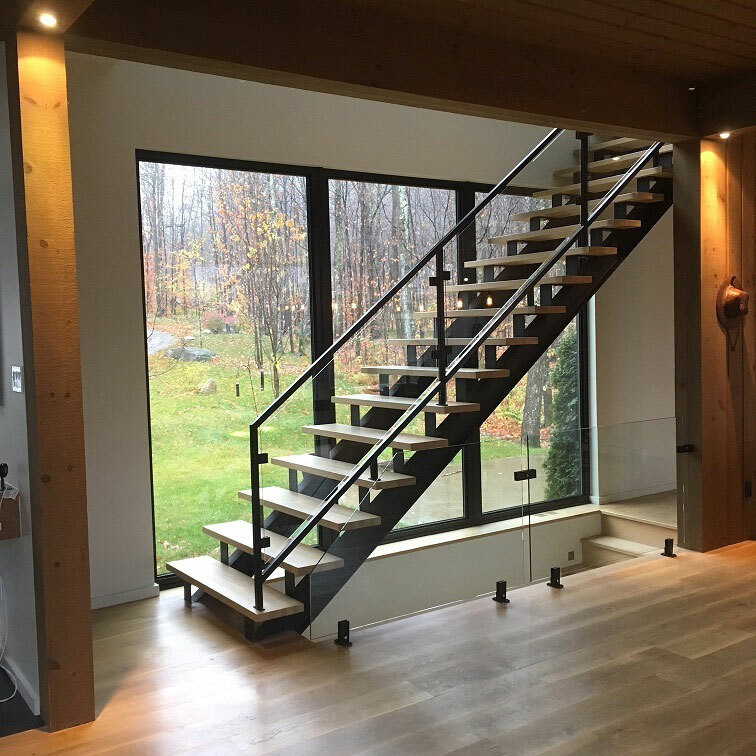 Since its foundation in 2003, the Rampes et Balcons St-Sauveur expert team has constantly been trying to offer their clients first quality products and services. 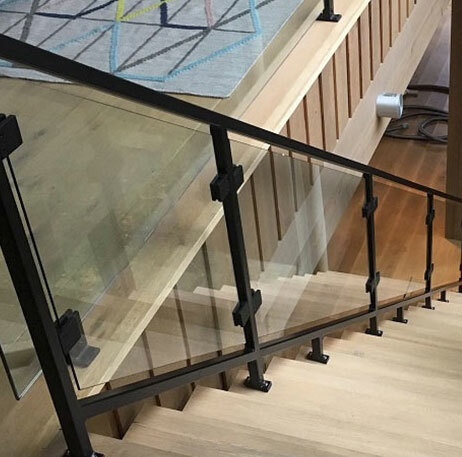 Tempered glass railings are innovative top-of-the-line products, and owners who appreciate style and refinement are seeking this out more than ever. Have you found your dream indoor or outdoor decor? This is the moment for you to do it with confidence. 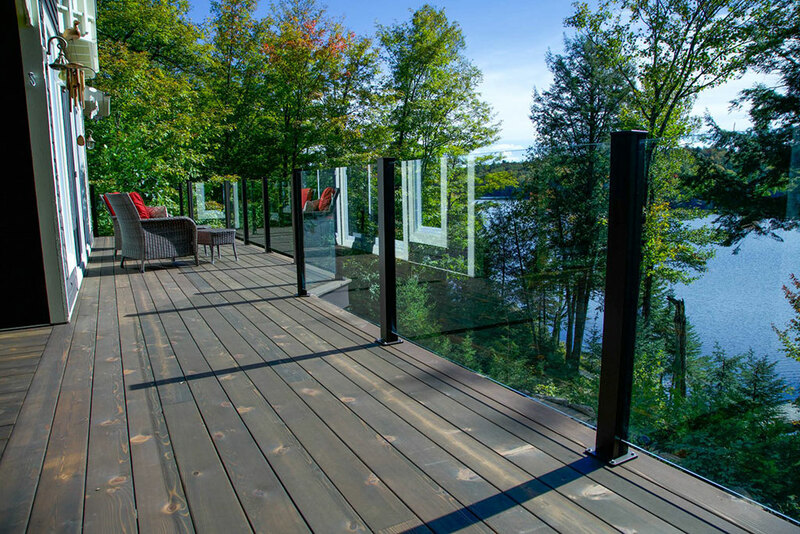 Rampes et Balcons St-Sauveur also specializes in interior glass railings. Sturdy and safe, these railings have clean lines and offer an enhanced luminosity. Our custom-made products will complete your home decor and add a stylish, refined look. 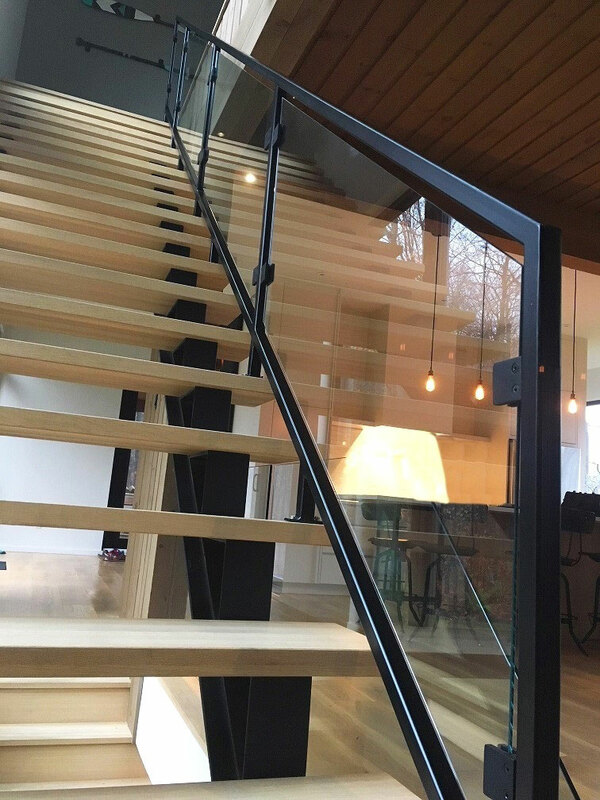 Interior glass railing with black steel frame. 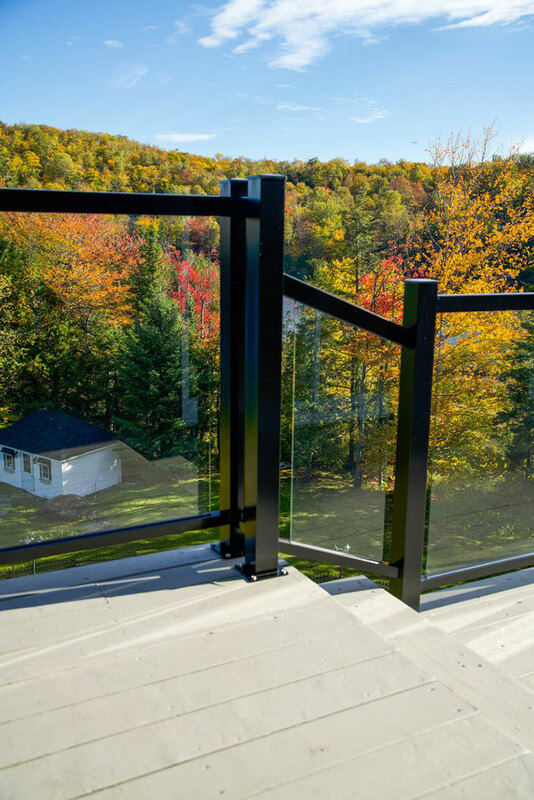 Elegant, durable multifunctional glass railings are a first-choice solution for safely enclosing a balcony, patio, mezzanine, stairway, etc. Since they are designed to resist the rigors of the Québec climate, they are suitable for both interior and exterior use. 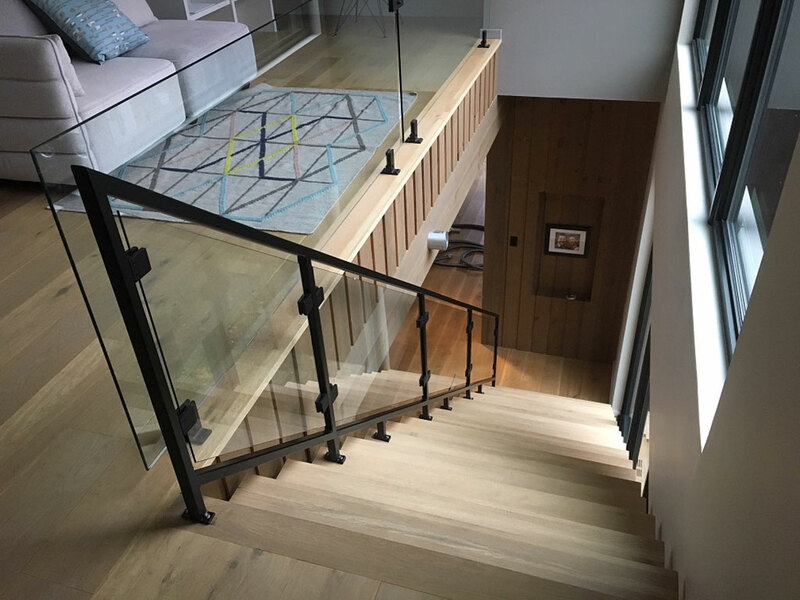 Glass railings, being transparent, fit right in with any décor or style of architecture and will adapt to any future changes you make in your spaces. 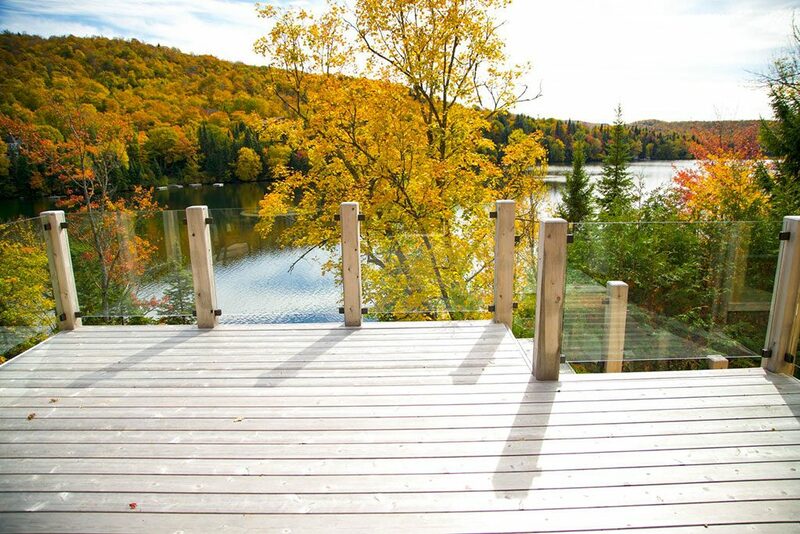 Why choose a glass railing or guardrail? 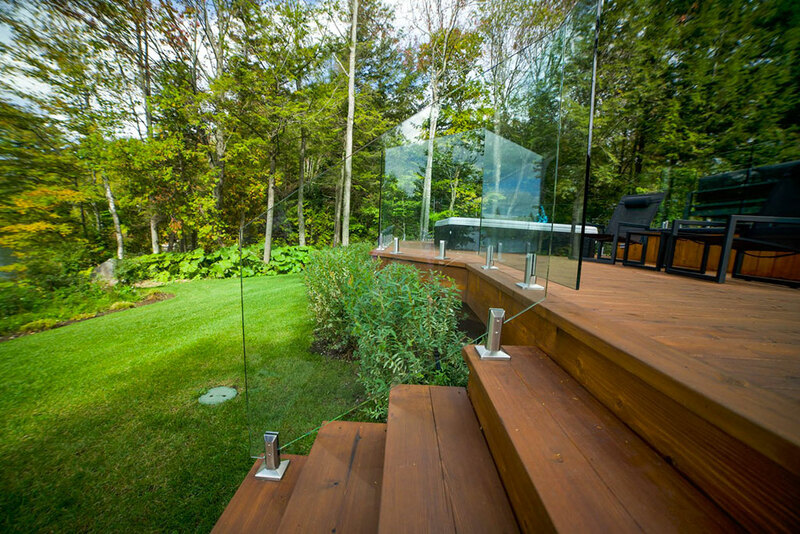 The main advantage of a glass railing is definitely its transparency. On a balcony or patio, it gives you a clear view of your yard or lot so you can take full advantage of the nature all around you. Inside, it makes your spaces look larger and less enclosed. It also lets in the light, making your rooms brighter. And there’s no better way to cut the wind on an elevated patio! 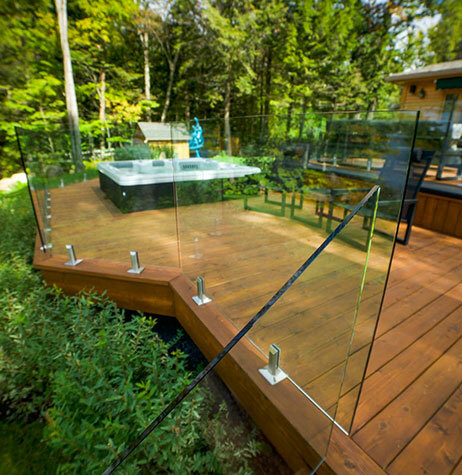 We make the glass railings and guardrails that we design out of tempered glass. That means that it’s been treated to resist shocks and changes in temperature. 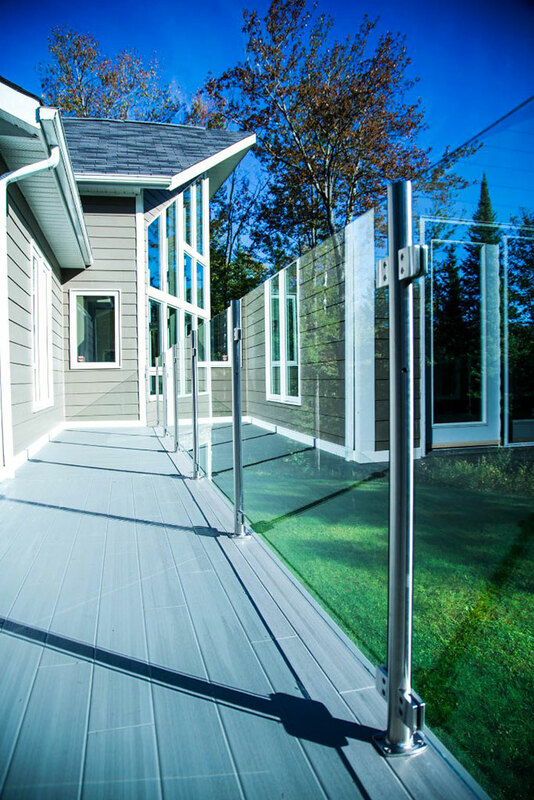 Tempered glass is strong enough not to break on contact with hail and freezing rain and to keep children safe, no matter how lively they are! 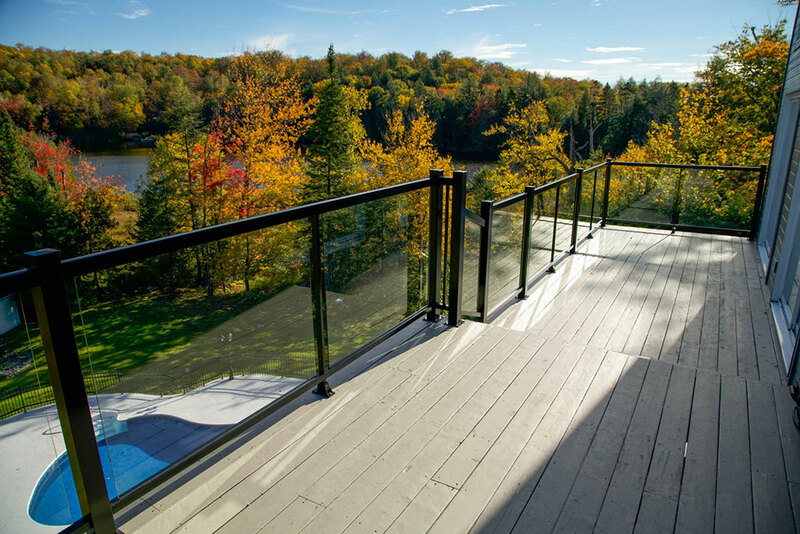 Our railings and guardrails are strong enough to exceed Building Code standards, making them a very safe option for any home. 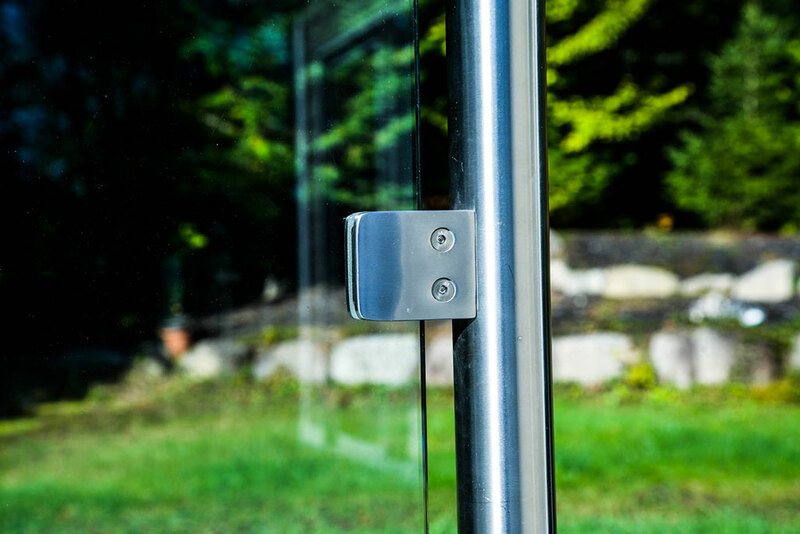 Contrary to popular belief, glass railings are easy to maintain and don’t need frequent polishing to stay bright. You’ll only need to clean them once or twice a year, particularly at the end of the spring when there’s a lot of pollen in the air. 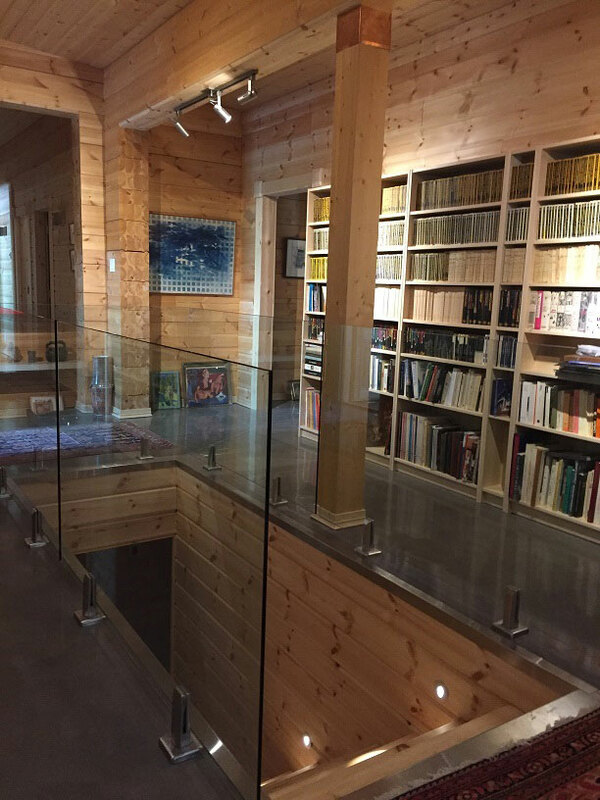 The thickness (6 mm, 10 mm or 12 mm) of the glass and method of insertion of the glass railings and guardrail vary among models. Take a look at our portfolio and you’ll see that the possibilities are endless! 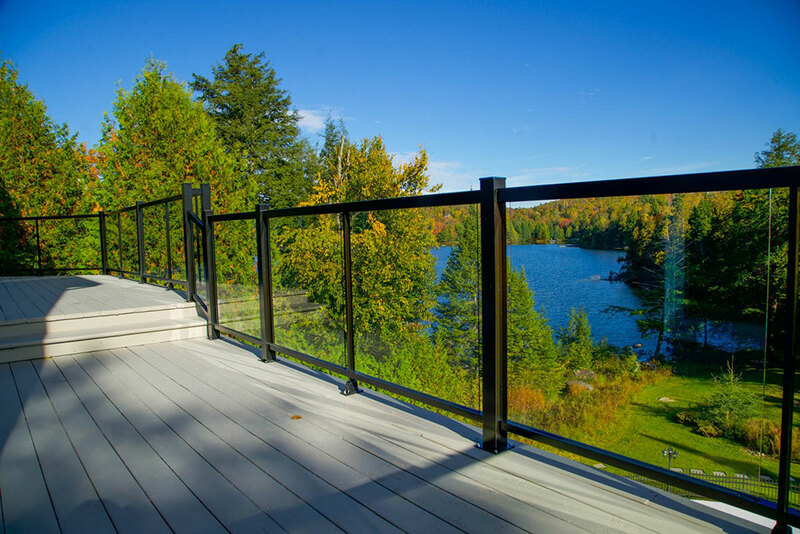 Rampes et Balcons St-Sauveur is dedicated to supporting Québec’s manufacturing industry, so all the components in our railings and guardrails are produced in Québec, like the aluminum and tempered glass. Besides being of high quality and available in sophisticated designs, these products have the advantage of being adapted to our changing climate. It’s also a way to limit our environmental footprint by reducing transportation! 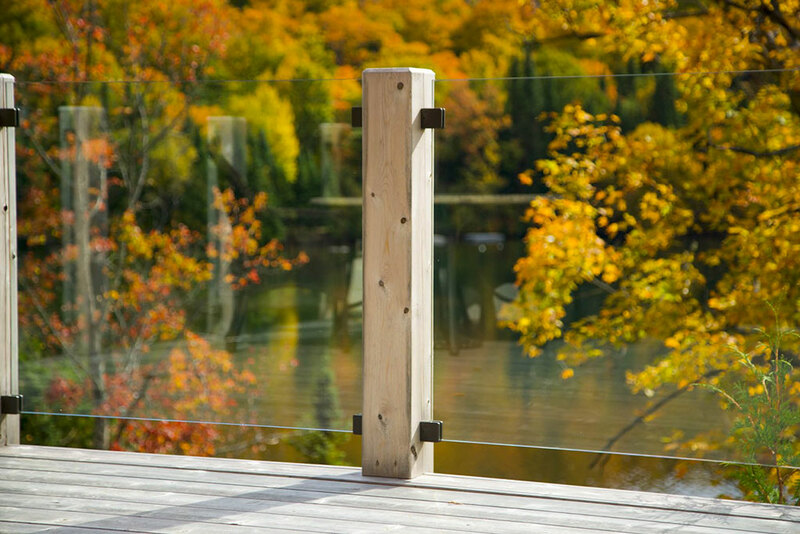 Would you like an estimate on a glass railing or guardrail? One of our experts can come to your home to show you our different models and discuss your options in order to give you a bid that meets your expectations and your needs. 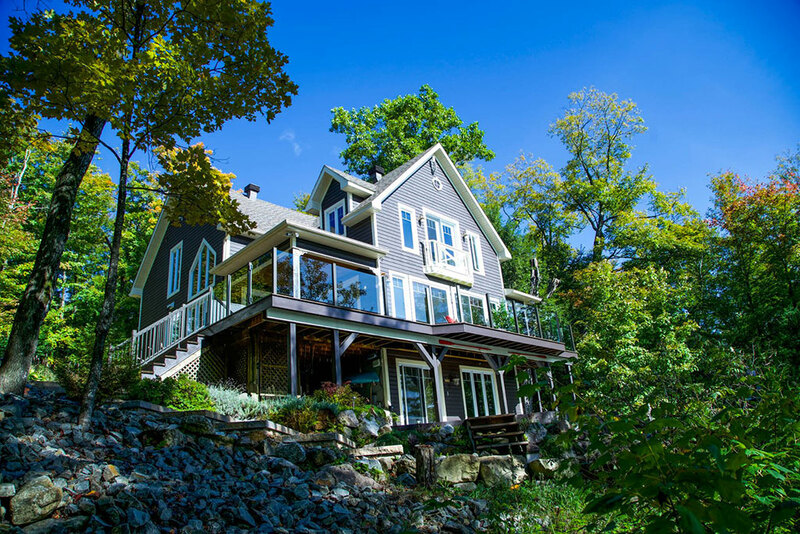 Once you accept the estimate, we will prepare a detailed plan of the railing or guardrail. Expect production to take about 10 days (this may vary depending on the order), then allow half a day to a day for installation, depending on the complexity of the project and the preparation needed. For any questions about our tempered glass railings and guardrails, contact our team.